It was a busy week for Nicole and Shane Sifrit of Iowa, USA. 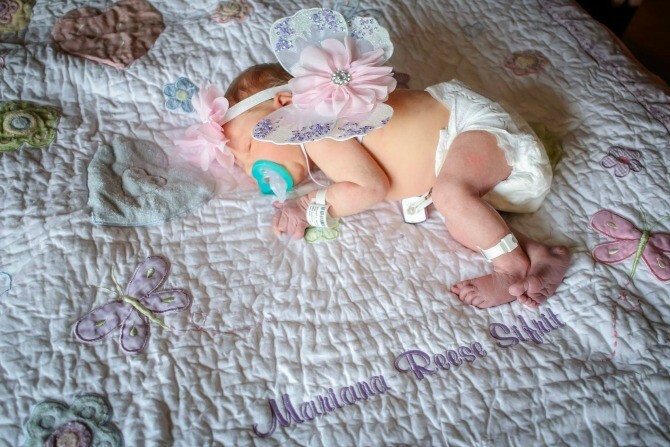 On July 1, their adorable baby girl Mariana, was born. And on July 7, Nicole and Shane got married. However, just a few hours into their ceremony, they noticed that something was not quite right with their precious baby. They left their own wedding early and took their little girl straight to the hospital as she was not eating or waking up. At Black Children’s Hospital in Des Moines, doctors told the family that their newborn had got a deadly virus called meningitis HSV-1, according to a CNN report. It was explained to Nicole and Shane that Mariana most probably contracted it after being kissed by someone with a cold sore. “They touch her, and then she touches her mouth with her hand,” Nicole explained to WQAD. Both she and her husband Shane tested negative for the virus, meaning that this ‘kiss of death’ was from another person. Nicole shared daily Facebook posts on her little girl’s condition. Little Mariana’s still-developing immune system was fighting the virus as best as it could, but soon after the diagnosis, her condition deteriorated rapidly. In just a couple of hours, organ failure set in. 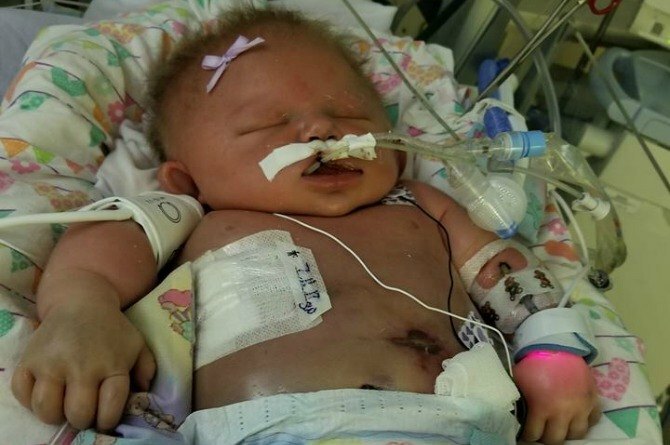 After this, the tiny baby couldn’t breathe on her own, so she was placed within the hospital’s neonatal intensive care unit. Her condition worsened, so she was airlifted to another hospital. Here, she was put on life support, given blood transfusions and had fluids drained from her tiny body. But, little Mariana was just too small to beat the deadly condition. Just a few days ago – on 18 July – the tiny fighter gave up her battle and passed away. She was just three weeks old. As sad as this story is, it contains an important lesson for all parents: do NOT let anyone kiss your newborn. No one (including yourselves, probably) should kiss a newborn baby, especially on the mouth or hands. A newborn is extremely vulnerable to contracting diseases fast, as her immune system is still weak and developing. A simple cold virus transferred to a newborn could have devastating results on her health. If you get visitors coming in to visit you and your baby, remind them to wash their hands often and ask you before carrying your baby. The ideal situation would be that they do not hold your newborn at all. It’s not being rude – you’re just protecting your baby. Try to avoid having older children visit your newborn. Those of preschool and school-going age especially, are exposed to a wide range of bugs at school, which may transfer easily to your baby. We at theAsianparent are devastated at the loss of this precious little life, and we extend our heartfelt condolences to baby Mariana’s family. All images from Nicole Sifrit’s Facebook page.